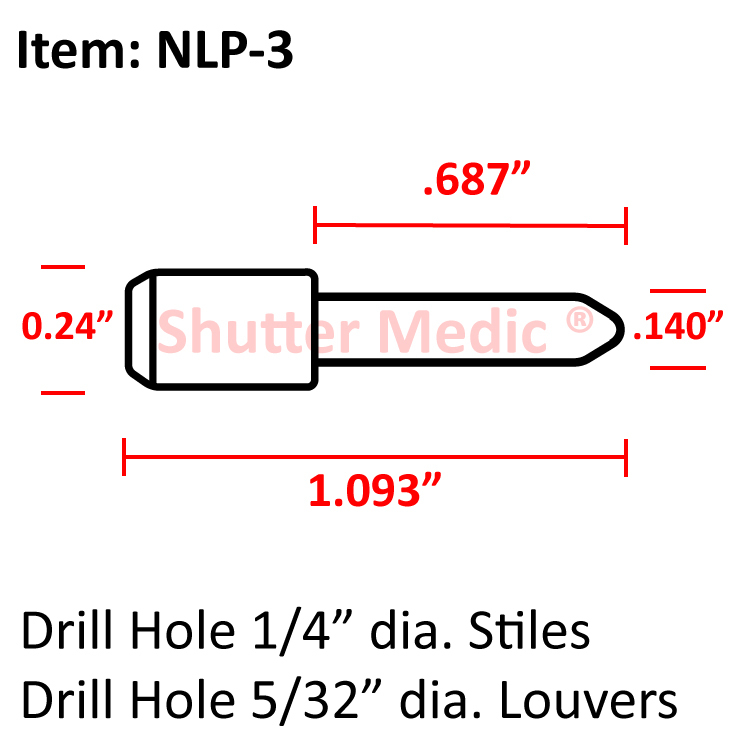 This nylon louver pin does not contain a collar like the standard nylon louver pin (NLP-1). This pin is often used in the construction of arched shutters in conjunction with a shutter tension spring. The end of the shutter pin that is .240 inches in diameter is inserted into the Stile. A 1/4 inch diameter hole or drill bit is required. The other end of the shutter pin that is .140 inches in diameter is inserted into the Louver. A hole or drill bit that is 5/32 inch or 9/64 inch is required.